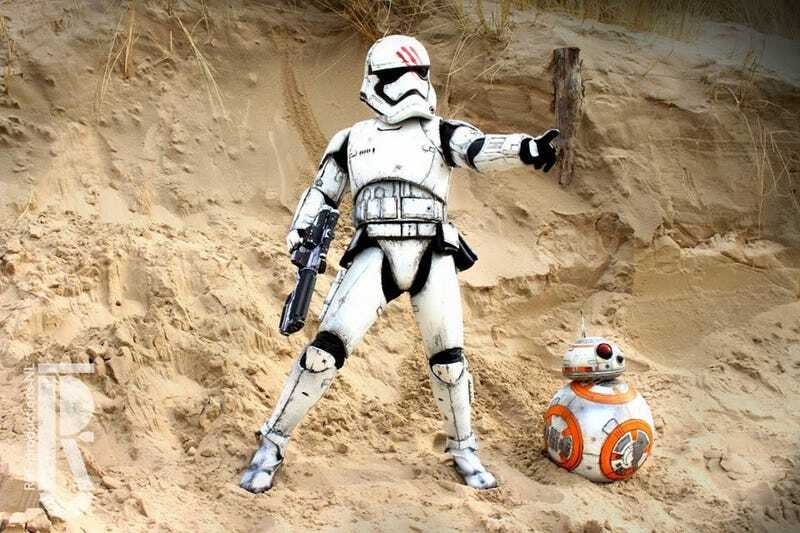 This FN-2187 outfit was made by Rick Boer, a cosplayer we’ve featured a ton of times here for his incredible work. The thing is, that’s not Rick inside the suit. Instead, it’s his six year-old daughter, a Star Wars freak in her own right, and now proud owner of the best Halloween costume on her block from now until the end of time (or at least until she grows out of it).